People use plants for food, fibre, fuel and medicines. Plants and algae are 'producer' organisms that absorb carbon dioxide, mitigating climate change. Beneficial fungi are essential for ecosystem functions by recycling material; others cause disease. The Botany Foundation, established in 1994, supports excellence in education and research in botany addressing issues relating to the use of plants, the environment, food security and nutrition. Tony Gregson is a chemist with PhD and DSc degrees from the University of Melbourne. From 1971 until 1973 he held an ICI post-doctoral research fellowship at the Inorganic Chemistry Laboratory and St Edmund Hall, Oxford. He then worked at the Atomic Energy Research Establishment at Harwell, UK, before returning to Australia to a lectureship in chemistry at the University of New England in 1974. During 1979 he was Visiting Professor of Chemistry at the University of North Carolina at Chapel Hill. In 1981 he resigned as Associate Professor of Chemistry and returned to his family farm (2200 ha) in western Victoria where he now grows wheat, barley, canola, a variety of pulses such as lentils, faba beans, and chick peas, and wool. 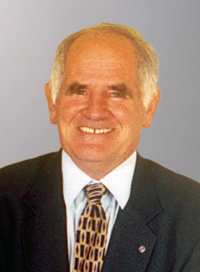 Since returning to the farm he has been a member of numerous organizations, for example: inaugural member of the Barley Research Council (86 – 90), inaugural board member of the CSIRO (86 – 95), inaugural board member of the Grains Research and Development Corporation (90 – 96), board member of the Rural Finance Corporation of Victoria (91 – 01), board member of the Australian Nuclear Science and Technology Organisation (93 – 98), Chairman of Dunlena Pty Ltd, a joint venture company between CSIRO and DuPont (94 – 96), Chairman of the CRC for Plant Science (95 – 98), Chairman of the Molecular Plant Breeding CRC (96 – 11), Commissioner, Rural City of Horsham (1995 - 1997), member of the Board of Trustees of CIMMYT (96 – 02), member (02 – 09) and Chairman (05-09) of Bioversity International based in Rome (formerly the International Plant Genetic Resources Institute) as well as a member of the CGIAR Alliance Board (05 – 09) and a member of the CGIAR Genetic Resources Policy Committee (05 – 09). Currently he is Chairman of Plant Health Australia, Chairman of the Melbourne University School of Botany Foundation, Chairman of the Victorian Committee of the Crawford Fund and a member of the Board of Governors of the Crawford Fund, a Director of Rural Industries Skill Training based in Hamilton, Victoria and an Adjunct Professor of the University of Ballarat. He was elected a Fellow of the Australian Academy of Technological Sciences and Engineering in 2003 and appointed a Member of the Order of Australia in 2009. External Member. Grain grower, Victoria's Wimmera. Chair, Plant Health Australia and Board Member, Crawford Fund. Professor Clarke is Laureate Professor in the School of Botany at The University of Melbourne and Chancellor of La Trobe University. 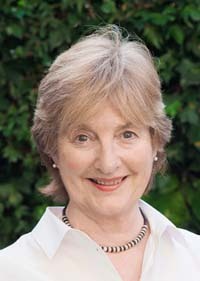 She is a Fellow of the Australian Academy of Science, Fellow of the Australian Academy of Technological Sciences and Engineering, Foreign Associate of the National Academy of Sciences (USA) and Foreign Member of the American Academy of Arts and Sciences and a Fellow of Janet Clarke Hall in Melbourne. She served as President of the International Society for Plant Molecular Biology (1997-1998). Professor Clarke was appointed as an inaugural Fellow (2007) of the American Society of Plant Biologists. Her work as a scientist is in the field of genetic engineering of plants and the chemistry of gums and exudates. 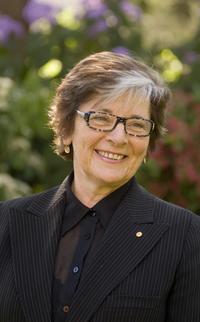 She served as Chairman of the CSIRO Board (1991-1996), Lieutenant Governor of Victoria (1997-2000), Ambassador for Biotechnology for Victoria (2001-2004) and has served on many government committees. Professor Clarke recently retired as a Director of Hexima Limited, a company that focuses on agricultural biotechnology. She has also served as a Director on a number of public companies including Alcoa of Australia Limited (1993-96), Woolworths Limited (1994-2007), WMC Limited (1996-2005) and Fisher & Paykel Healthcare Limited (2002-2008). She also serves on various scientific advisory boards including the Australian Research Centre for Urban Ecology (ARCUE) (2004- ). Dr John King is a Senior Neurologist at the Royal Melbourne Hospital. 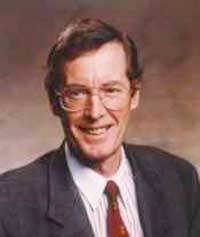 He is currently a member of the Board of Directors, Inner and Eastern Health Care Network. Dr King is also a past President of the Australian Association of Neurologists, and past Chairman of the Senior Medical Staff, Royal Melbourne Hospital. Thanks in part to forward-thinking donors, the School of BioSciences is a leader in research and education. Make an instant gift online using a credit card. All transactions take place over a secured connection using SSL technology to encrypt all information. Make a donation via mail by downloading the form anytime and posting to the Botany Foundation. Including the Botany Foundation in your will is a way of providing enduring support beyond your lifetime. Find out how your support can be acknowledged and recognised. Please contact the Botany Foundation to discuss other giving options. The University is a certified Deductible Gift Recipient (DGR). All gifts to the University of $2.00 or more are tax deductible for Australian tax purposes. The Botany Foundation supports an array of research areas and programs to assist students and professionals in plant science. The impact of your donations enable the School of BioSciences to provide the highest quality teaching, research and engagement with industry and community. Find out more about the impact of your gift to the foundation.